Louisa Etcheverry was born into a family of potters in California in 1911. Her uncle, Fred Meyer, was the founder of Meyer Pottery in Vernon, California, where her father worked and where Etcheverry herself started working in her teens. Al King, Etcheverry’s husband, was also trained to throw on a pottery wheel by Meyer. In 1932, King established a pottery studio at the Etcheverry home with Harold Spence. When Spence left the partnership in 1936, Etcheverry played an increasingly important role in the studio. Her deftness with sculpted forms contributed to the success of the Spence and King pottery, which produced many figures and modeled vases based on her designs. King and Etcheverry together established a pottery in Los Angeles called Lotus and Acanthus Studios. Etcheverry and King, through Lotus and Acanthus Studios, initially produced cast vessel forms—ceramics made from molds rather than thrown on the wheel. In later years, they increasingly made more individually hand-thrown works, such as this piece. They were particularly inspired by Chinese glazes and did much experimentation to replicate them. 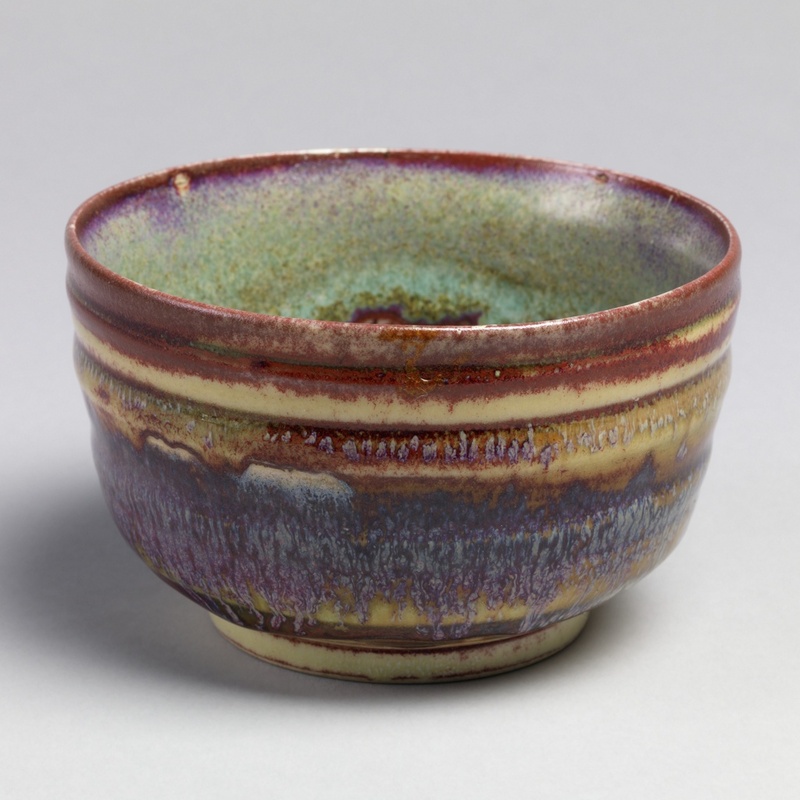 These Chinese-inspired glazes are evident in this bowl’s oxblood red, purple, and celadon green coloring. Etcheverry and King quickly gained national recognition; their work could be seen coast to coast, including in Syracuse, New York, where this bowl was exhibited in the tenth National Ceramic Exhibition. It was purchased there by IBM, who in 1969 gave the bowl to Cooper Hewitt. In addition to creating ceramic vessels, Etcheverry and King undertook large-scale architectural projects. In the 1930s, they were involved with the Works Progress Administration’s (WPA) Federal Art Project. They led a team of 60 artists who produced a 900-square-foot ceramic mosaic mural on a façade of the Long Beach Municipal Auditorium in Long Beach, California. When the Auditorium was torn down in 1979, a community effort saved the mural from destruction and moved it to what is now Harvey Milk Promenade Park.